AS THIN AND VERSATILE AS EVER! 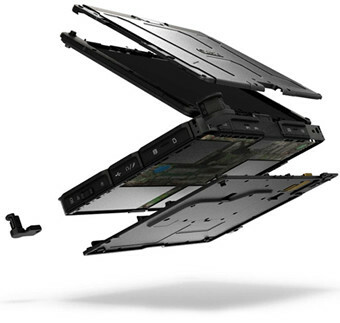 lighter and 30% thinner than the previous generation. 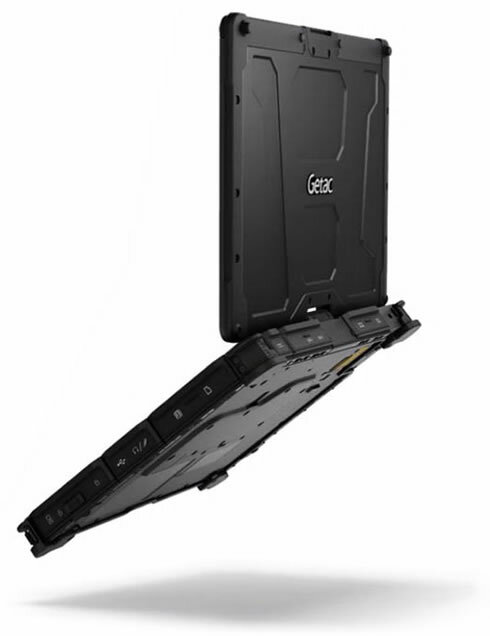 The V110 is built to perform, featuring a powerful 6th generation Intel® Core™ processor, flash storage and responsive graphics. It’s the fastest rugged convertible we’ve ever built. 6th Gen Intel® Core™ I7 vPro™. 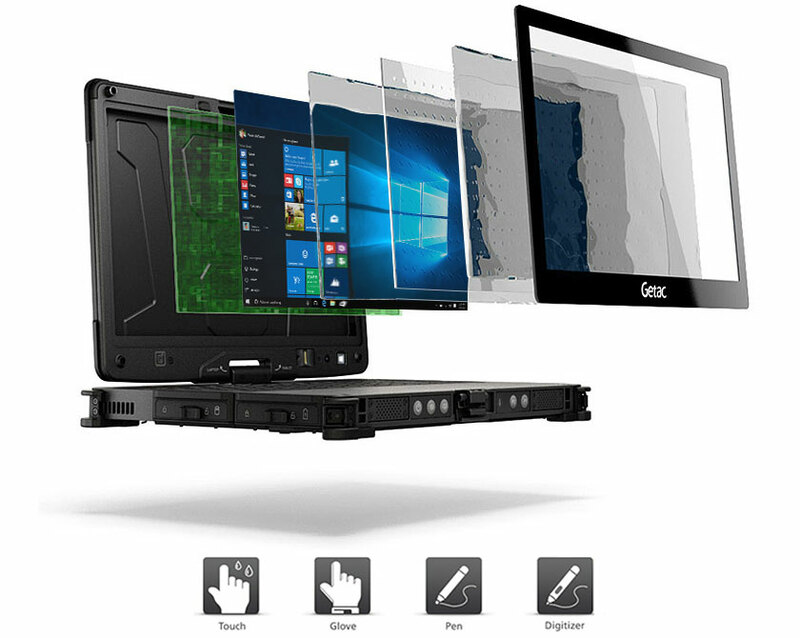 The V110 can be configured with either the latest Intel® Skylake Core™ i5 or i7 processor, delivering an amazing level of CPU performance. The V110 features a large 11.6” display that utilizes LumiBond® 2.0 technology for incredible clarity both indoors and outside in direct sunlight. 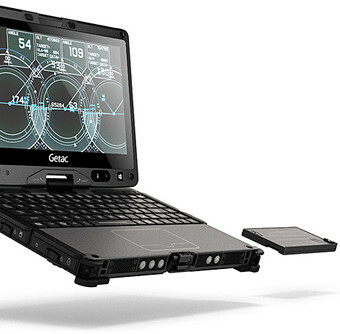 The 11.6” widescreen display is ideally suited providing plenty of real estate to run Windows and your apps on. 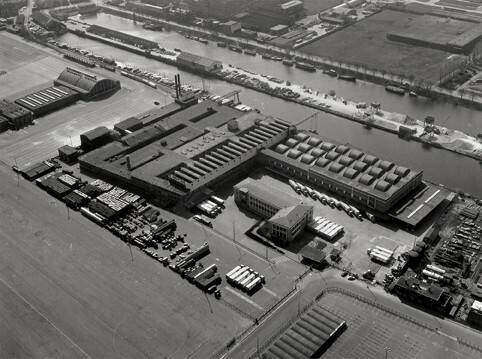 LumiBond® 2.0: Better, Brighter, Stronger. 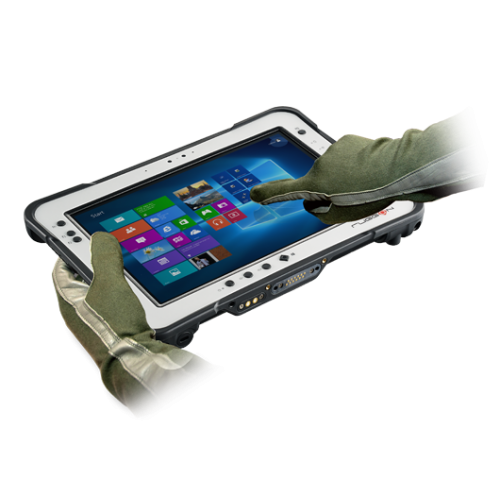 The V110 utilizes our revolutionary LumiBond 2.0 technology with enhanced touch function (Touch/Rain, Glove or Pen mode, plus an optional Digitizer mode) to achieve a display that is more readable, and offers better contrast and more crisp colors than any other rugged laptop display. By bonding the display glass with the touch panel and LCD, we’ve created one pane this is both more durable and improves readability. 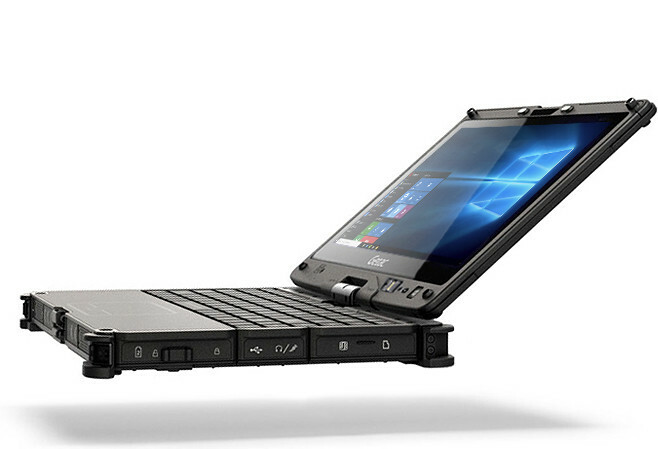 The V110’s unique, hot-swappable dual-battery design allows for potentially infinite, uninterrupted battery life. This enables you to remove one of the two rechargeable batteries and replace it with a fresh battery without ever shutting down apps or your Windows OS. 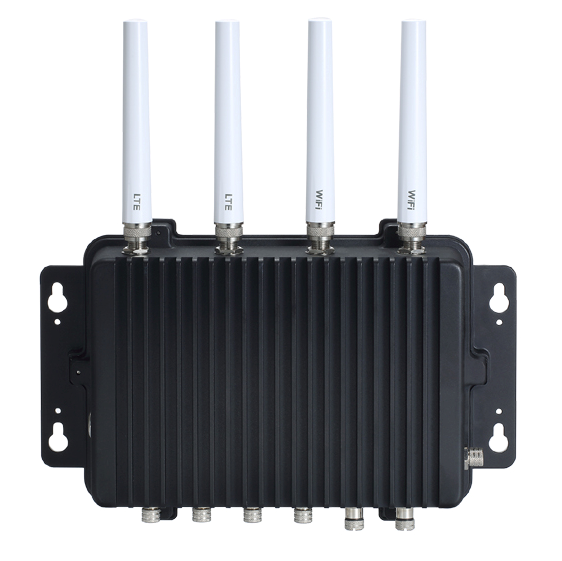 The V110 can be configured with 4G LTE WWAN and features an 8-band 3D antenna for blazing fast download and upload speeds with fewer dropouts. The V110 features 802.11ac WiFi, the latest and fastest in wireless connectivity technology – up to 3x faster compared to the competition’s 802.11n WiFi. 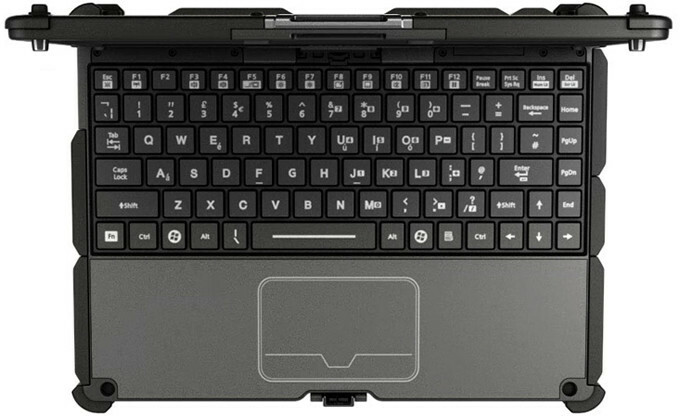 The V110 comes with a full-size, waterproof membrane backlit keyboard. Its 88 standard-sized, island-style independent keys provide an unmatched premium feel and increased durability. The V110’s keyboard is a full 56% larger than competition products, so you can type the way you’re used to typing. And, the red backlight allows you to type in the dimmest conditions without silhouetting yourself. It also reduces eyestrain, which helps reduce fatigue. The V110 fully rugged convertible has been built using the highest quality materials to make it unflinchingly resilient. The V110’s main chassis structure is precision cast using Magnesium Alloy, an incredibly strong structural metal that also happens to be one of the lightest in the world for it’s strength. We combined that with an advanced rugged polymer in areas of less impact and rubberized absorption polymer at the main points of contact. Less Downtime When It's Crunch Time. 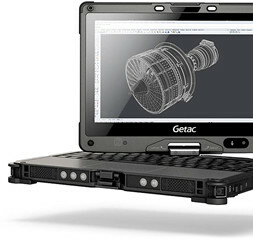 It doesn’t happen often, but if a V110 ever needs to be serviced, Getac offers unmatched coverage that will ensure you get your computer fixed and back on the job fast. Nothing says quality like a manufacturer standing behind their product. We've designed the V110 rugged convertible from the inside out to survive drops, shocks, spills, vibration and more. We're confident in our quality and that's why the rugged V110 comes standard with 3 years Pack & Collect warranty. It's the peace-of-mind protection of knowing you're covered. 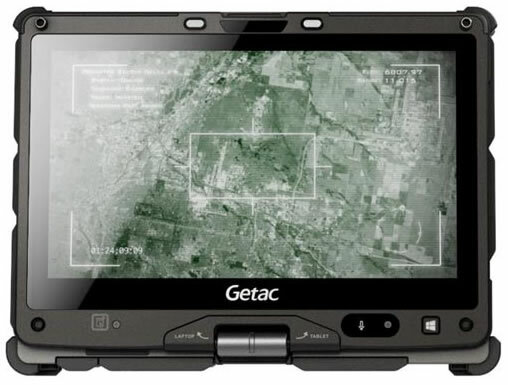 Getac V110 Fully Rugged Convertible. 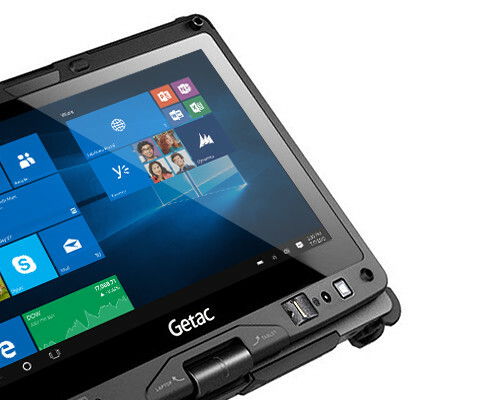 Getac F110 & V110 - WHERE PERFORMANCE & MOBILITY COLLIDE.